Thunderstorms are nature's own symphony. The sound of thunder rumbles across jagged landscapes and torrential rain pelts down in an even rhythm, cutting and chiselling architectural shapes out of stone and rock. Rain is one of nature’s greatest and most inspiring forces, and the sight of heavy raindrops splattering across a windowpane, running down the glass in watery rivulets, is mesmerizing. 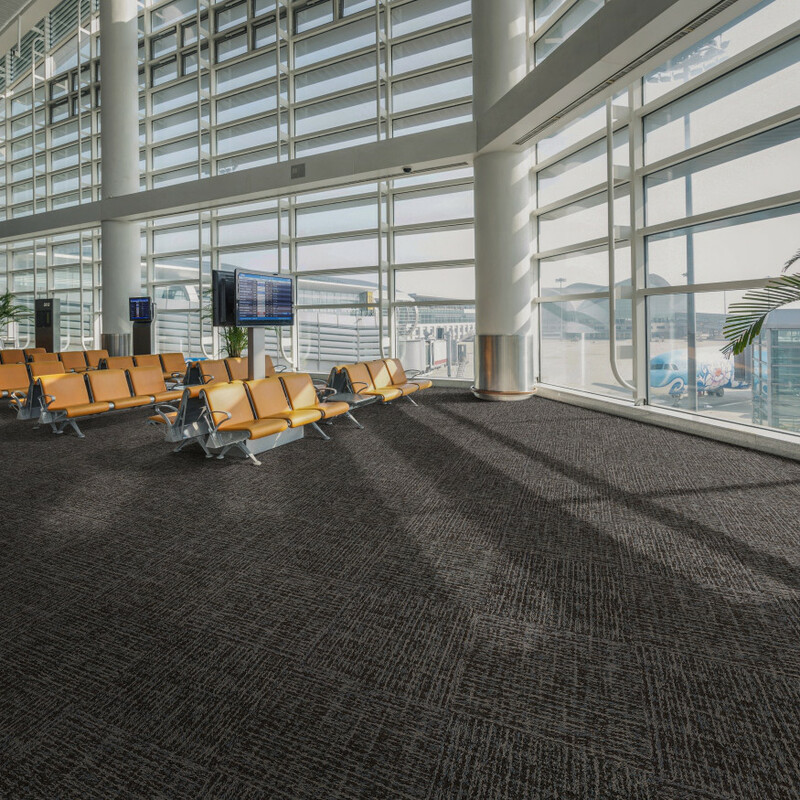 The patterns that they make, and the trails they leave behind are the inspiration that runs through our Belgotex Floors new Torrential Rain range of heavy commercial carpet tiles. A part of the Forces Collection, Torrential Rain is a Tufted Colour Placement range that is a Stainproof SDX (Solution Dyed Nylon) product, available with the dimensionally stable backing system, EOS BAC, which offers sound absorption and sound reduction properties, and is also environmentally friendly. Available in multiple colourways, Torrential Rain's repetitive patterns in the high-low pile gives a textured look and creates a beautiful rain-inspired setting in any heavy commercial environment.